The Military Auxiliary Radio System (MARS) is a United States Department of Defense sponsored program, established as a separately managed and operated program by the United States Army, Navy, and Air Force. The program is a civilian auxiliary consisting primarily of licensed amateur radio operators who are interested in assisting the military with communications on a local, national, and international basis as an adjunct to normal communications. The MARS programs also include active duty, reserve, and National Guard units; Navy and National Oceanic and Atmospheric Administration ships, and Coast Guard cutters and shore stations. MARS has a long history of providing worldwide auxiliary emergency communications during times of need. 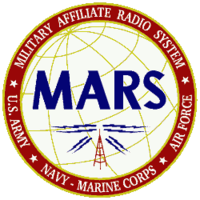 The combined three-service MARS programs (Army, Air Force, and Navy-Marine Corps) volunteer force of over 5,000 dedicated and skilled amateur radio operators provide the backbone of the MARS program. The main benefit of MARS membership is enjoying the amateur radio hobby through an ever-expanding horizon of MARS service to the nation. MARS members work by the slogan "Proud, Professional, and Ready". The applicant must: be 17 years of age or older. be a United States citizen or resident alien. hold an Amateur Radio station license issued by the Federal Communications Commission. MARS has certain eligibility participation requirements such as maintaining a minimum of 12 hours participation time each calendar quarter and keeping MARS officials updated on the status of station and changes of address. What are Army MARS Frequencies? Frequencies used in the Army MARS program are those assigned by the Joint Frequency Panel from U. S. government frequencies allotted to the military services. Frequencies are assigned to MARS throughout the High Frequency (HF) spectrum and selected frequencies in the VHF band. Because Amateur Radio equipment is limited to operation in the Amateur bands, minor modifications are needed to work the MARS frequencies. Many MARS frequencies lie close to the Amateur bands but never inside the Amateur frequencies. You may join MARS by contacting any MARS member who can then guide you to acquisition of the proper applications.